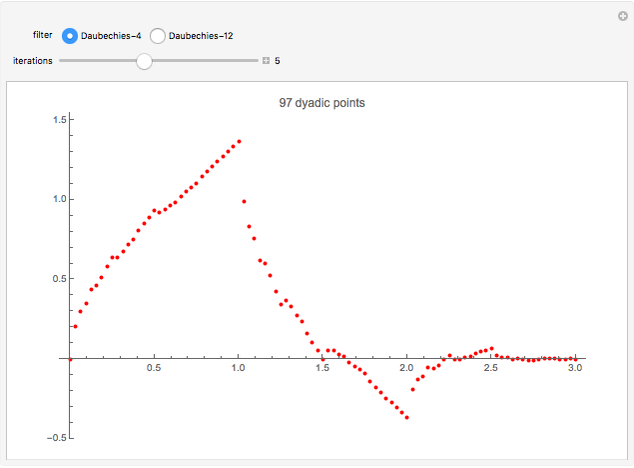 The dyadic cascade algorithm uses the wavelet dilation equation recursively to compute the scaling function of the wavelet at dyadic points of the form . 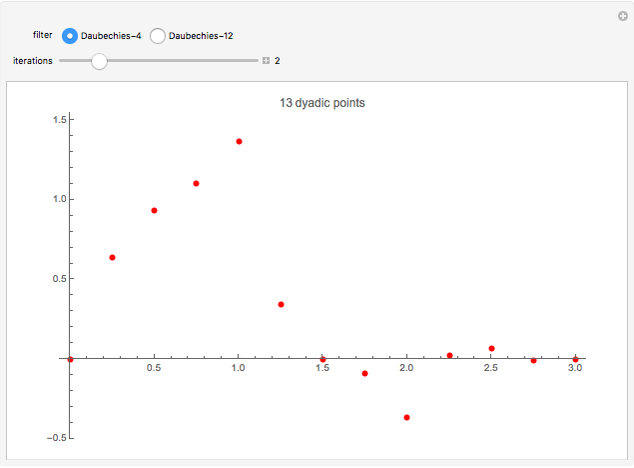 This Demonstration plots the result of applying the algorithm for Daubechies filters of lengths 4 and 12. The a priori knowledge needed includes the filter coefficients, the continuity of the scaling function, and its compact support (the interval for the Daubechies filter of length ). Knowing the support of the wavelet, the computation of the scaling function at integer values amounts to an eigenvalue problem via the dilation equation. Once this eigenvalue problem is solved, the dilation equation is used recursively to compute the scaling function at dyadic points within the support interval. A. Boggess and F. J. Narcowich, A First Course in Wavelets with Fourier Analysis, 2nd ed., Hoboken, NJ: John Wiley and Sons, 2009. G. Strang, "Wavelets and Dilation Equations: A Brief Introduction," Society for Industrial and Applied Mathematics Review, 31(4), 1989 pp. 614–627. 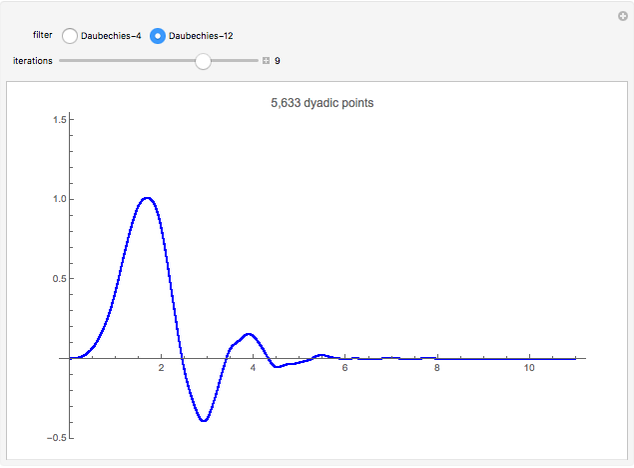 Helmut Knaust "Dyadic Cascade Algorithm for Daubechies Wavelets"